Why The Marvelous Wonderettes Is Wondrously Marv for Groups! | All Tickets Inc.
All Tickets Inc. > Buzz > Why The Marvelous Wonderettes Is Wondrously Marv for Groups! 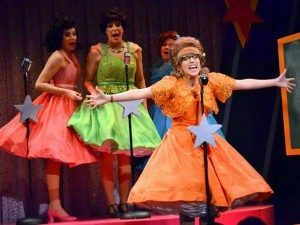 Why The Marvelous Wonderettes Is Wondrously Marv for Groups! 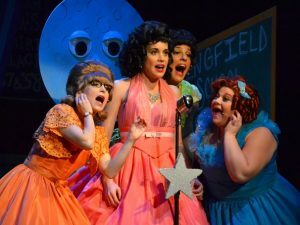 Home » Buzz Article » Why The Marvelous Wonderettes Is Wondrously Marv for Groups! Let the good times roll, the music fill you, and the characters and comedy take you away to a place where you’ll laugh out loud, enjoy classic pop music and lyrics from the 50s and 60s, and get lost in another time for a few truly enjoyable hours. If you’re looking for a great group experience as just described, then you’ll want to take advantage of The Marvelous Wonderettes group ticket prices. This is a wondrously marvelous musical for groups. 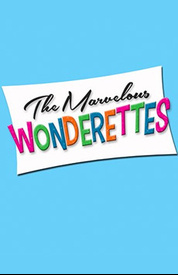 There are many reasons as to why audiences love the musical The Marvelous Wonderettes. We’ve chosen five. Once you see it, you’ll probably easily list off five more. Here are just five aspects of this musical that make it a major crowd-pleaser. Hit after hit after comes your way, including “It’s My Party,” “Stupid Cupid,” “Mr. Sandman,” and “RESPECT.” A collection of number one and top 40 hits, including rock and roll, ballads, doo-wop, soul, and rhythm and blues, take you back to 1958 and 1968. You’ll leave the theatre singing the tunes and the praises of this show. The ladies in this show take it to the limit every performance. The Marvelous Wonderettes stars Ryann Redmond (Suzy), Kristy Cates (Missy), Jenna Leigh Green (Cindy Lou), and Sally Schwab (Betty Jean). 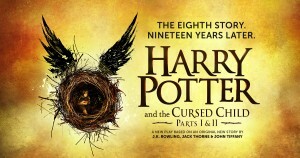 The cast members have a wealth of live performance experiences, which includes Broadway, Off-Broadway, national tours, and international credits, as well as film and television roles. The character comedy is hilarious, as the four kooky women reveal their inner feelings, greatest hopes and fears, and raw emotions, often hilariously and sometimes touchingly, through their songs, interactions, and observations. This is a rollercoaster ride that’s powered by big performances, pop classics, and huge personalities as Suzy, Missy, Cindy Lou, and Betty Jean experience love, jealousy, anger, passion, and much more. Secrets are revealed, dreams are nurtured and dashed, and each of The Marvelous Wonderettes discovers a happy ending as they finish their reunion performance. If you remember the 50s and 60s, or love that era, including the music, then this is a musical that you will find enchanting. 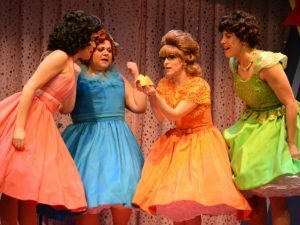 The Marvelous Wonderettes takes you back to a time of big hair, soft sweaters, and crinoline, music that raised you up or ripped your heart out, and friendships that were tempered and forged without social media, Smartphones, and the Internet. In fact, this is a musical that can make just about anyone long for days gone-bye. It is true that everyone can find something to like about The Marvelous Wonderettes. It has amazing audience appeal that cuts across all generations. 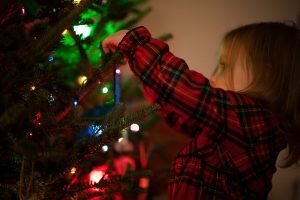 It’s smart enough, innocent enough, and honest enough that it readily connects with everyone in the audience. The entire family will love this musical. We had to add one more. The Marvelous Wonderettes group ticket prices are just $45 per person and a group can be a few as eight people! We make it easy for you to secure your great group ticket rate. Performances are at Theatre Row – Kirk Theatre, 410 W. 42nd St., NYC 10036 on Wednesdays at 2:30 p.m. & 8:15 p.m., Thursdays at 8:15 p.m., and Sundays at 3:00 p.m. Contact us today by emailing either janet.robinson@jrgroupsales.com or info@allticketsinc.com or by calling 212-362-5797 or 800-922-0716 and get ready to have a wonderful and marvelous time at The Marvelous Wonderettes.